You are currently browsing the tag archive for the ‘Bradley Cooper’ tag. A surprisingly shallow movie from Luc Besson, who is one of my favorites. Honestly, I’m not sure Besson and screenwriter Rebecca Frayn did well by Aung San Suu Kyi, in the sense that I’m not certain they capture the magnitude of her importance to Burma. Or maybe I just didn’t love the choice to focus so much on her relationship with her husband, as I found it less interesting. Michelle Yeoh was good, but it wasn’t a role written to be awards bait. The action in this French film wasn’t as good as I was led to believe. And the story of a dark, almost antihero who needs to kill the bad guys in order to save his son doesn’t really add much to the genre. But I do want to spend some time talking about the film’s setting. The bulk of the movie takes place in a giant nightclub like thing. I don’t really know how to describe it, but it is this huge building where every room has a different vibe. The technical folk involved with the film really made it work, the building never felt cartoonish, and the action always felt like it continuously flowed through the building. I was looking forward to this one, since it is director Jim Field Smith’s followup project to She’s Out of My League. Plus, you know, the field of competitive butter carving seems like it might be ripe for the picking. 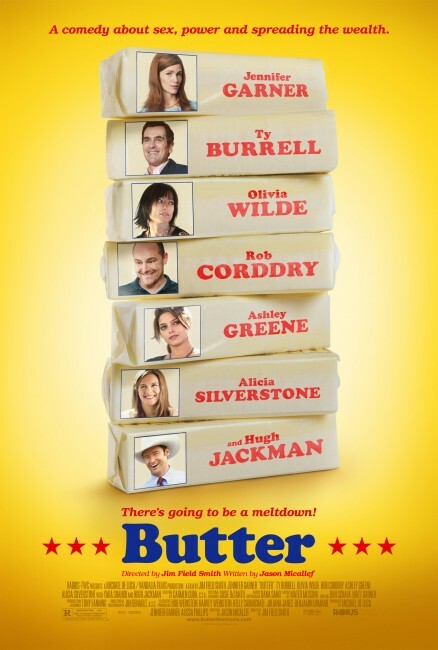 Screenwriter Jason A. Micallef appeared to make the decision to play the butter carving straight and derived the humor from the various characters, which is maybe the only decision to make in a post-Christopher Guest world. The problem, I think, is that the jokes just don’t seem to always be there. Olivia Wilde’s character, for example, was kinda fascinating, maybe not the most unique take on the the stripper character in the world, but still rather engaging. But her motivation seemed all over the place. I was talking with someone who is a big fan of Jennifer Garner, and while I was initially skeptical, thinking over her work here and in other stuff, she’s actually a sneaky solid actress. Hugh Jackman shows up for a few scenes in a cowboy hat, which is amusing. And Olivia Wilde makes out with Ashley Greene, for reasons totally relevant and necessary to the movie. 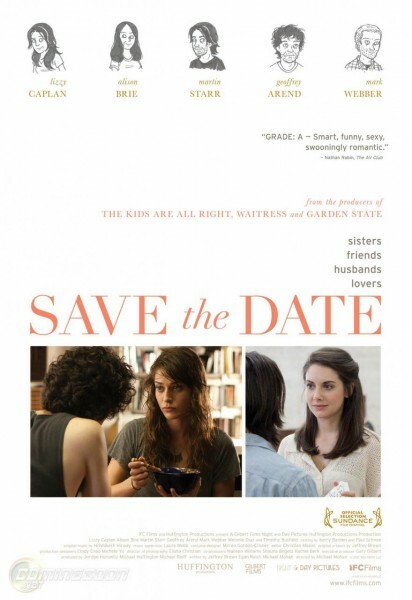 Isn’t like I’m not going to watch a movie starring Lizzy Caplan and Alison Brie. The film was too lo-fi (for lack of a better turn of phrase) for my liking. Not that everything has to be super melodramatic or bombastic, but my experience with this trend of indie-feeling movies is that they de-emphasize actors and actresses, at least in terms of them having an opportunity to leap off the screen. Additionally, I might argue that their screenplays are more difficult to write, at least the good ones, because the more “naturalistic” the film, the less the dialogue can hide behind events, action sequences, or broad humor. A sports betting movie starring Bruce Willis and Rebecca Hall should have been a slam dunk. Especially from the guys who respectively wrote and directed High Fidelity. I haven’t read the memoir on which this film is based, but the end results seems to read much better as a logline: Attractive women who knows nothing about sports betting becomes a bookie than an actual movie. Because the characters were underdeveloped and various plot points overemphasized to add some oomph to the long periods of the movies which dragged. Hall and Willis were good, but this was a movie and a pair of actors who demanded some fast-paced witty banter, instead of whatever it was we ended up with. Vince Vaughn was a lot of fun in his role. You’d think I’d be all over a Best Picture-nominated romantic comedy, right? Unfortunately, David O. Russell is kind of terrible. He rode a ridiculously talented cast into awards season, but you can’t fool me. I did like some aspects of the film, but let’s go through the problems since I’m worked up. 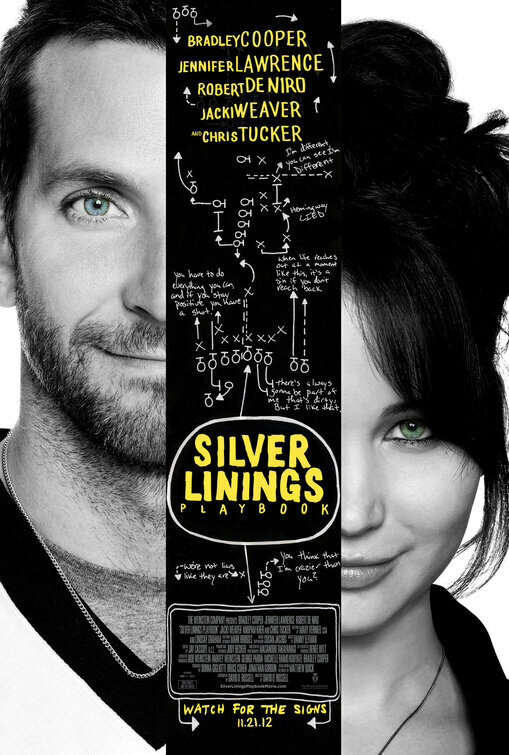 The conceit of silver linings is dropped midway through the film. Chris Tucker’s character is pointless. Bradley Cooper’s shrink becoming his friend is odd. The concept that mental illness can be cured by finding someone else who has mental problems is icky at best. I’m fine accepting poetic license there, but the film was lauded for its depiction of mental illness, which I know is a classic Weinstein tactic, but still. The direction was constantly getting in the way, from the unsteady camera work to the awkward depiction of the dancing scenes. The story flops all over the places, only firming up into place in the last third, when it becomes a more traditional romantic comedy, but by that point, the beats lose resonance because they have less emotional weight. The film succeeds almost exclusively on the shoulders of its two leads. Bradley Cooper is very very good. Which wasn’t a surprise to those who have followed his career from the start. Certainly deserving of the Oscar nomination for a textured, riveting performance. And then there’s Jennifer Lawrence. Oh, Jennifer Lawrence. She’s basically won the internet. Physically speaking, she’s essentially perfection itself. For a lot of actresses, that would have been enough, I think. Look pretty while dancing, yell some, and there’s no shame in that. But Lawrence put on a masterclass here. She rose above the mediocre script to shine, constantly, while on screen. She makes it impossible to look away because she’s so fascinating while on screen. The best evidence, maybe, is looking at her scenes with Robert De Niro. De Niro is just absolutely blown away, essentially shrinking off the screen to let Lawrence dominate the scene like a fierce tornado. She isn’t chewing scenery, either. At any rate, it was a little silly that De Niro and Weaver also picked up noms. De Niro was mediocre but I guess not as terrible as he’s been for the past decade, and Weaver’s character was underwritten. I think maybe Mary Elizabeth Winstead’s performance in this one was too hyped up by the time I got to it. Don’t get me wrong, I love me some Mary Elizabeth Winstead, and she is very very good in the film. My expectations were not managed correctly, I guess. 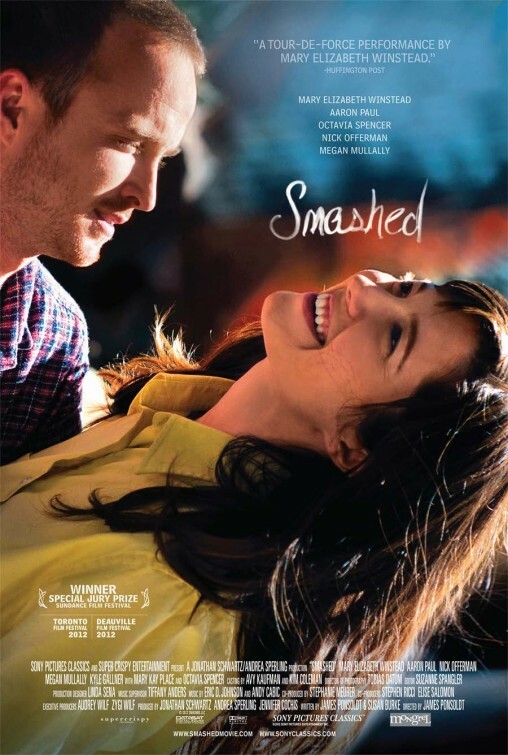 The film is a no holds barred look at alcoholism, recovery, and the stress of a relationship where one person is a functioning alcoholic and the other doesn’t want to be any more. Which, no question, is a worthy exploration, if not terribly riveting. Nick Offerman is pretty great, because of course he is, but there’s a scene in there which probably won’t let me look at him the same way. I believe I saw this one in theaters, alone, because I am awesome. The film, as you no doubt remember, won an Oscar (Costume Design) and was nominated for three others (Cinematography, Score, and Production Design). No arguments here. The staging of the film was, by far, its strongest feature. With transitions that read like changing sets on a stage in a theater and vividly distinct depictions of the various rooms of the film, the production design was endlessly fascinating. The script, though, didn’t live up to Joe Wright’s direction. Keira Knightley is very good, of course, but I can’t help thinking she needs to find the right role to break out of her mold and take things to the next level. I didn’t entirely get Jude Law or Aaron Taylor-Johnson, I guess they helped make the film a little tiresome. Matthew MacFayden and Alicia Vikander were the standouts of a surprisingly deep and underutilized cast. Saw this in theaters with Adam, and I get the feeling he won’t be too thrilled with where I placed it. The film’s biggest flaw, probably, was me seeing it so soon after seeing The Raid, which probably wasn’t the most avoidable thing in the world. Both utilize a similar conceit of an undermanned team forced to take a big building of bad guys, floor by floor. The film is a remake, of course, but I’m told this one hews a lot closer to the original comic books, and, regardless, is original enough that it is the kind of remake that makes sense. The film had some interesting ideas, I thought. 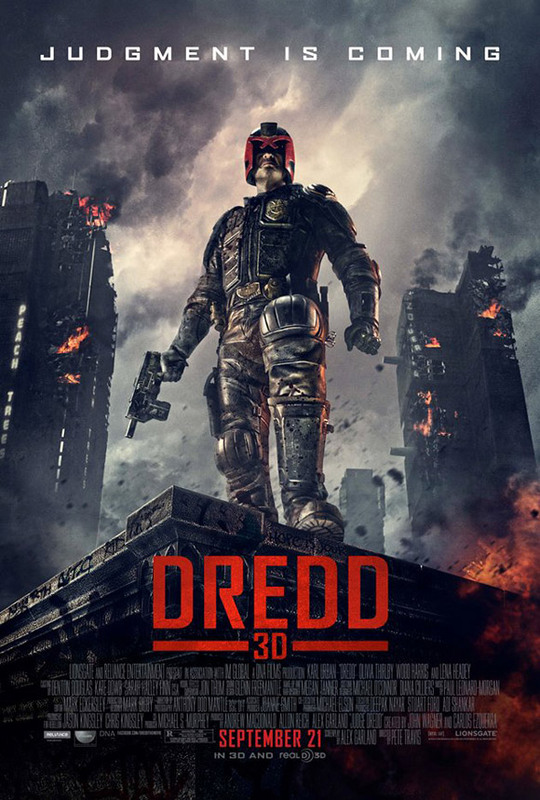 The Slo-Mo drug, Olivia Thirlby’s psychic powers, forcing Karl Urban to stay in his helmet the whole time, and the building conceit, for example. But it never really coalesced into something memorable. There are some funny bits in here, but the film felt kinda lightweight. To the point where I don’t really remember much of it. So let’s take my opinion even less seriously than possible, if that were possible. I thought the stand up parts were funny, but most of the supporting stuff (life on the road, his relationship) wasn’t, really. I’m sure Lauren Ambrose was good, because she always is. 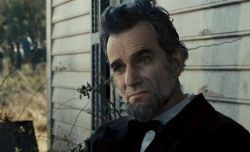 Yes, of course I’m going with Daniel Day-Lewis in this category. It’s one of those instantly classic performances that will be remembered for a long time. But it’s still not an instant choice because there are two other really good nominees in this category. Phoenix is intense as hell, squirmy and angry. Washington turns in what I’d call a classic leading man performance. There’s not much in the way of showy acting in Flight but Washington totally carries the film with charisma to spare. He really nails his character’s charming yet dickish personality. Cooper didn’t make much of an impression on me and I think Les Miserables actively sputters when Jackman is on screen. I know it’s a stylistic choice to give the singing a ragged quality, but Jackman’s gasping and over-emoting didn’t work for me and paled in comparison to his costars that took a more conventional approach to their singing. “Maybe the director should have worked harder to make sure his cast members took similar approaches to singing,” you might say. Yes. Yes he should have. I would have dropped Cooper and Jackman for John Hawkes’s marvelous performance in The Sessions. I suspect the real Mark O’Brien would have felt very well-represented by the portrayal. Logan Lerman in The Perks of Being a Wallflower never really got the acclaim he deserved. Forget Cooper; Logan gives the mentally ill performance of the year! Finally, he may win in Supporting Actor, but Tommy Lee Jones really knocked my socks off in Hope Springs, pairing his trademark gruffness with a lot of vulnerability. When I have Hugh Jackman in the cellar, you know it is a strong year for this category. I’ll probably never have a bad thing to say about Jackman (and I’m always reminded of SNL’s Best of Both Worlds sketch), I think he was a little bit let down by his director and the material here. The sing-talking was mostly distracting and a lot of the time he just didn’t seem to be in the same movie as everyone else. I think there’s a potential Les Miserables that would see me have Jackman as my favorite, but this wasn’t it. It is admittedly a little difficult to get past the sheer boredom induced by The Master. 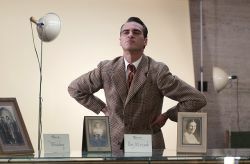 But I think Joaquin Phoenix helped create a very distinct character. I don’t know if this is going to sound insane or not, but I was most taken by a particular pose Phoenix struck throughout the movie. Hands on his waist, elbows out, almost chicken-like. It felt vaguely unnatural, but maybe since nothing else was going on in the movie, I noticed it over and over, and was impressed with how well Phoenix stuck with it (and other mannerisms) throughout the movie. I say this as a very big fan of the guy, but doesn’t it seem like Bradley Cooper’s star power is outpacing the movies he’s starred in by a significant margin? He’s got The Hangover and its sequel, this one, and…what else? Limitless? You have to start counting He’s Just Not That Into You and Valentine’s Day, or, like The A-Team. Now, that’s not any sort of knock on his acting, a rewatch of Wet Hot American Summer and, say, The Midnight Meat Train will reveal a perhaps surprisingly impressive range. Anyway, to be more relevant here, this nomination is absolutely deserved. 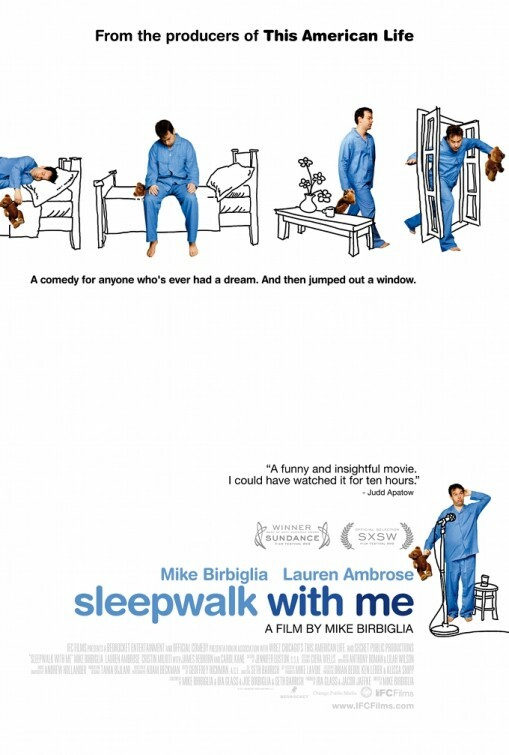 Cooper overcomes a subpar script and direction to deliver a refreshingly nuanced take on mental illness. Flight is an underrated movie, and I think maybe as a result (along with the fact that there’s a clear front-runner in this category), Denzel Washington is getting lost in the shuffle a little bit. Which is ridiculous, because he’s Denzel. Like most actors, he’s more fun to watch when he’s playing someone who isn’t the ultimate do-gooder, and his character here is just fascinating. There’s a wide spectrum of ways of playing drunk, none of them necessarily wrong, but it is a lot more difficult to play a character going through an entire movie in an alcohol and narcotic infused haze of dependency. And Washington nails it. 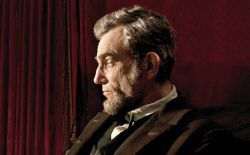 I always love the stories of Daniel Day-Lewis so fully immersing himself into a character – texting like Lincoln, staying in character for the entire production and dearly hope the more ridiculous they are, the more true they are. To me, he’s a testament to what we can accomplish if we want something badly enough, including putting in the work. And for me, there’s not necessarily a value judgement there. His Lincoln is pitch perfect, of course. But when you think about what he sacrificed to prepare and stay in the character’s mindset, it is hard to say if it is was “worth” it. At any rate, I think the world has pretty much acknowledged this race is and should be set, and everyone’s OK with that. Should have been here: Along with Day-Lewis and Washignton, I have John Hawkes, The Sessions; Matthew McConaughey, Killer Joe, and Logan Lerman, The Perks of Being a Wallflower. With Cooper; Channing Tatum, Magic Mike; and Liam Neeson, The Grey on the outside.